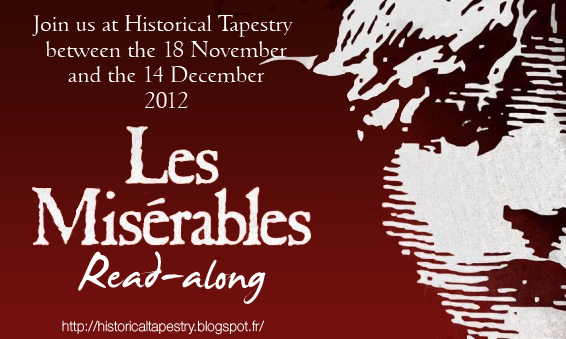 To celebrate the release of a new adaptation of Les Misérables by Victor Hugo, we decided to organise a Read-along and use this as an excuse to reread or read for the first time this wonderful story. Before starting this new adventure, we wanted to ask you what English translations of The Miserables one should read ? Any suggestions ? We hope to have you on board Jennifer! It's on my Classics Club list so I may as well join in ;) Is there a version you recommend? I have this book on my Classics Club list, but it is sooo looong--don't know if I could finish it in a month, even with a readalong. I'm going to think about it, though. Just for info, I have the modern library version and it's beautiful (but huge). Maybe start it a bit earlier to give yourself the best chance of finishing it? There is a new hardcover version coming out in November that I seriously contemplating buying! I hope you do join in Diana! I had no idea you were doing this! I'm going to try my damnedest to join you. Isn't that trailer wonderful? I actually cried. Anne Hathaway is so heartbreaking. The trailer has inspired me to want to read the book! I am interested! I might have to start early too! I'd love to join, but to run through it so fast, I don't think I can, even on audio. Do you have an idea on where the stopping points would be? When I got my copy in high school, the store owner was adamant that I got an unabridged copy, so that's the main thing to look for. I think mine is the Signet version, that feels about the size and weight of a brick.